Some people look at buildings and see a combination of wood, steel and mortar with a number of things inside to make them more comfortable and workable — lighting, computers and maybe a few windows, even if they can't be opened. From the perspective of Beth Brummitt, founder of Brummitt Energy Associates, that vision of a building is far from comfortable, and from a business perspective, hardly efficiently workable. A Stanford graduate in the field of political science, Brummitt has chosen a line of work that has relatively little to do with her early area of study. But one would be mistaken to call her an energy or engineering lightweight. When her interest in energy began to expand a few years after her 1977 Stanford graduation, Brummitt turned to San Diego City College, where she earned a certificate in HVAC and solar design. Universities now have complete programs in what she studied back then, but at the time there was no such thing. Building a wealth of knowledge, piece by piece, she also took several semester-length courses through the University of California, San Diego's Extension program and other courses through industry groups like the American Society of Heating, Refrigerating and Air Conditioning Engineers, commonly known as ASHRAE. From there, she began teaching energy code to building officials after becoming a certified energy analyst and certified energy manager. 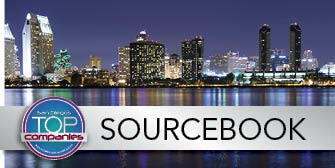 She then went on to chair a statewide industry group, the California Association of Building Energy Consultants. 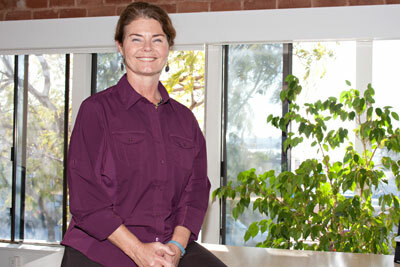 In 2002, Brummitt stood as founding chair of the San Diego Green Building Council. Beth Brummitt is the founder of Brummitt Energy Associates. She formed Brummitt Energy Associates in 1998 specifically to focus on high-performance buildings. Her personal mission statement was: "To pursue and promote sustainable living for myself and others." "The company grew out of that," she said, with the focus simply on creating energy-efficient buildings. The mission of the company has shifted some through the years, and now it is to improve both the performance and valuation of buildings. "There's a lot of really exciting work that's been going on lately to help make the connection," she added. For the past few years, her office team has solidified into a five-person collaboration of talents, with Brummitt's 15 years of energy modeling experience combining with software expert Charles Christenson's equations for modeling spreadsheets, and the ability of a former instructor in computer-aided design, Hans Marsman, to build the models. "We're a modeling team, not just a modeling person," Brummitt said. "Everybody here does something better than what I know how to do." Since forming the company, things have evolved in terms of the type of work Brummitt has focused on. When the construction industry was doing well a few years ago, she was regularly able to implement her models directly into clients' designs. That's how she prefers it, since it usually results in greater impact. But with new construction down significantly in the past few years, she's had to make two changes: shift from a more civilian-based network of clients to a more federal-heavy one and adjust to focusing on existing buildings in the private sector. Projects Brummitt has recently been involved in include several buildings at Camp Pendleton and the Flight 93 Memorial in Pennsylvania. While different in many ways, the changes have given her an opportunity to demonstrate to her clients the potential increases in building valuation that come with her company's recommendations and to demonstrate to builders how her work can be an asset to them. Brummitt sees collaboration between her specialized practice and builders growing as the economy has changed. That, she feels, is a good thing. "If we're looking at translating energy performance into asset value, and tracking a building over time, then that's where we're involved in collaboration," she said. Working with a commercial appraiser and asset adviser, Brummitt will present her clients and the collaborative team of builders with a breakdown of the valuation impacts her recommendations will have, based on local baselines. She'll show them how as annual operating costs decrease, property values go up, with one example she gave showing a building tenant's potential energy savings ranging from $400,000 to $600,000 during a 10-year period and the relative building value increasing by as much as $1.5 million. In the example given, building improvements included a wide range of changes, but the most impactful were variable-volume fan systems, a high-efficiency frictionless chiller, heat-recovery options and lighting, which Brummitt always tries to complement with day-lighting techniques. Even things like switching building insulation from an R-11 class to an R-30 class can save hundreds of dollars per month in energy. Brummitt's work is founded in a deep-rooted concern about climate change, which she realizes not everyone is concerned about to the same degree. But if she can make her work more important — more valuable — to everyone who pays an energy bill or hopes for a high return on the sale of a building, the business will flourish, she believes. "So here's where people don't have to have this moral feeling that green is a good idea," Brummitt said.